The wedge gate valve is used to regulate the flow of liquid in a pressure pipeline, normally in the fully open or fully closed position to isolate the flow. The range is complimented with a range of extension spindles, caps and handwheels available to suit the valves supplied. JDP offer gate valves from 50mm to 2500mm diameter, including large diameter versions that do not require an actuator or gearbox to open and close the valve. For more details contact your local JDP. 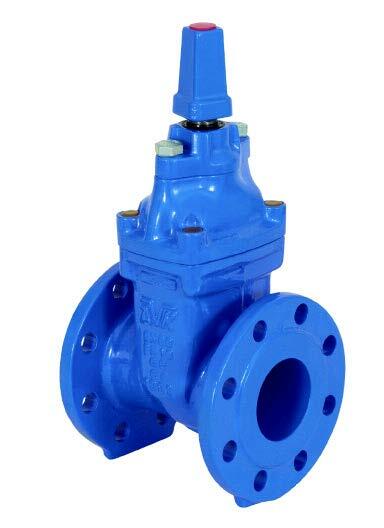 These resilient seat, wedge gate, valves are suitable for use with water and neutral liquids (sewage), to a maximum working pressure of 16 Bar, and between temperatures of -10ºC to +70ºC. Insulation is essential for temperatures of 0ºC and below. Gas Valves also available, contact your local branch for details. JDP also offer a gate valve with Electrofusion Sockets. It is a unique mono-design resilient-seated gate valve complete with electrofusion sockets designed into its body. 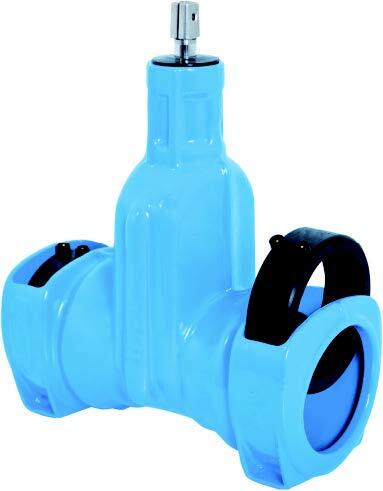 This reduces both weight and installation time when connecting to Polyethylene pipe systems. Due to its singular mono design an unequalled strength of the valve is achieved. These unique design features permit 100% all-over epoxy powder coating, thus providing an unequalled corrosion protection according to the regulations of GSK, the Quality Association for Heavy Duty Corrosion Protection of Powder Coated Valves and Fittings.